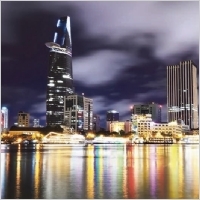 The rapid economic growth of the early 2000s was followed by the development and emergence of the office-for-lease markets in Ho Chi Minh City (HCMC) and Ha Noi from 2006 to 2008. However, the global recession in 2008 and Viet Nam’s struggling macro economy from 2009 to 2012 negatively affected this trend. Given the signs of macro economic recovery in 2013, the office leasing market in HCMC is expected to recover. However, the Ha Noi office market may take longer to turn around, mainly due to large amounts of available stock in some locations, especially in the western area of the city.